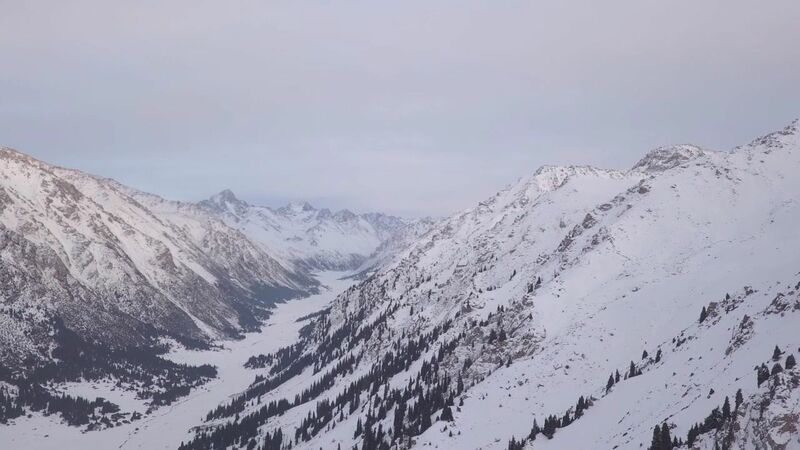 Jöttnar's Tom Coney recently visited Kyrgyzstan on a big-mountain ski trip. Inspired by tales of remote peaks and bottomless powder, it had been a trip in the making for several years. We were close to our 150th kick turn of the morning and, as the couloir steepened, what looked like a further 200m of boot packing lay above us. We had quickly learnt after leaving camp that today was going to turn into a mission. The continental snowpack, with its knee-deep, unconsolidated crystalline snow had made for hard and tiring work. I guess that's why we travel around the world to ski in these new and interesting places, to get these experiences in these far-off lands. A trip to Kyrgyzstan had been on the cards for a few years ever since our expedition to Tajikistan. Tajikistan had been a high altitude, spring ski-mountaineering expedition. This however, was a midwinter, backcountry touring powder hunt. 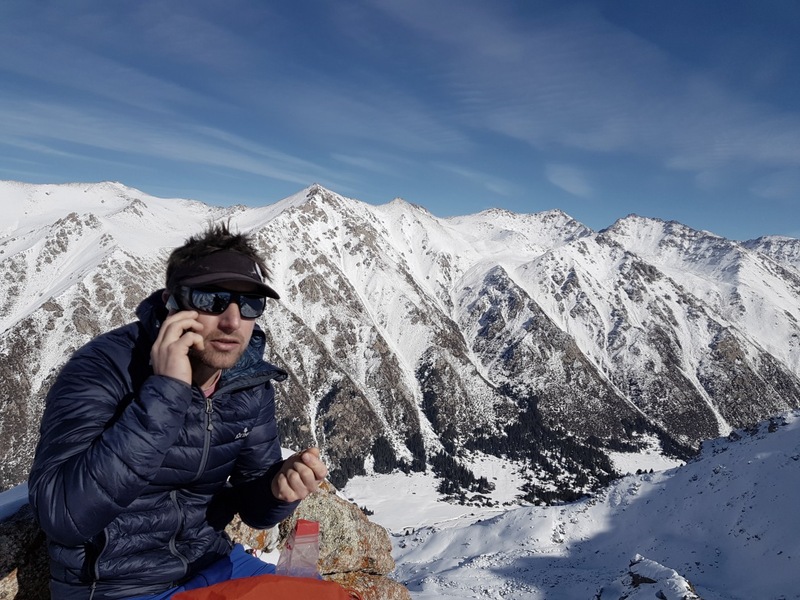 We had heard on the grapevine that Kyrgyzstan offered remote peaks and bottomless powder - these tales weren't far wrong. Flights were cheap and with no understanding of the Russian language or its alphabet between us, we thought it would make for an interesting experience. After spending numerous cold nights in tents on past expeditions we decided more luxury would be preferable, and the Kyrgyz's traditional accommodation of yurts seemed the perfect choice. Some quick research pointed us in the direction of a small operation based in the Tien Sian mountains from which we based ourselves. At 4am we landed in Bishkek, home to ex-Soviet monuments, fake designer clothing and the basic international airport. Forward planning found our driver ready and waiting so we weaved our way through the intimidating hustle of the overpriced minicab drivers and out into the bitterly cold minus 30 temperatures. Our warm 4x4 awaited. Four hours into our journey the 'decreasing road quality to increasing numb bum' correlation was happily broken as our driver ushered us into a very Kyrgyz roadside café. The stack of plastic trays and bored servers standing behind warmed-through stews reminded us nostalgically of our school canteens; the illegible Cyrillic alphabet describing their contents, however, not so much! Eight hours in we got our first glimpse of snow on the colourful multi-layered foothills close to our drop-off, where we arrived at a small village called Aksuu, and eventually a farmhouse storing the snowmobiles for the next stage of our journey. Assisted by the resident mongrels noisily guiding the procedure, the skidoos were casually driven onto the back of the 4x4’s trailer. At the snowline we unloaded all the gear as the snowmobiles warmed up; now the exciting bit, warmer clothes and ski boots on, we stepped into our skis. 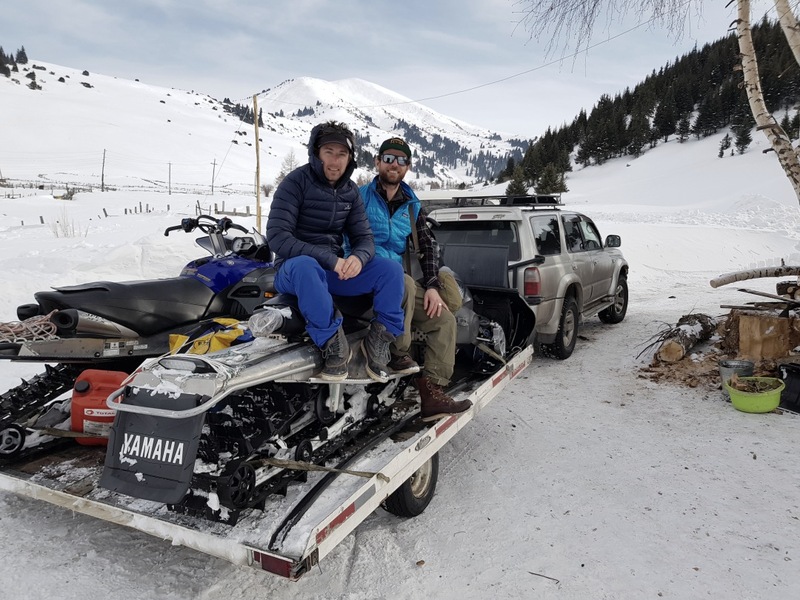 Being towed on a 10m line behind a skidoo with your mate next to you takes some concentration, especially when avoiding obstacles and descending the rolls, you quickly catch up with the towing skidoo. But the playful metre-deep snow drifts and stunning scenery kept us entertained for the 30km journey. Scoping out the terrain our eyes began to explore the potential and we let our excitement grow, distracting us from any discomfort from the tow. There appeared to be a lot of promise from these large rugged and empty mountains. Four cheery Russian-only speaking men, welcomed the two of us into our temporary hamlet. Their tough and weathered handshakes offered a soft welcoming gesture. This remote hamlet of five yurts, included a baña (a steam room in a tent, in case you didn’t know!) and log-fired hot tub. Luxury in the middle of nowhere, quite literally. We grabbed the drone to scope out what we had spotted on our journey in, ready for our morning adventures. Modern tech meets the outdoors at its best. After a blissful nights’ sleep at 2500m we awoke ready for our expedition. 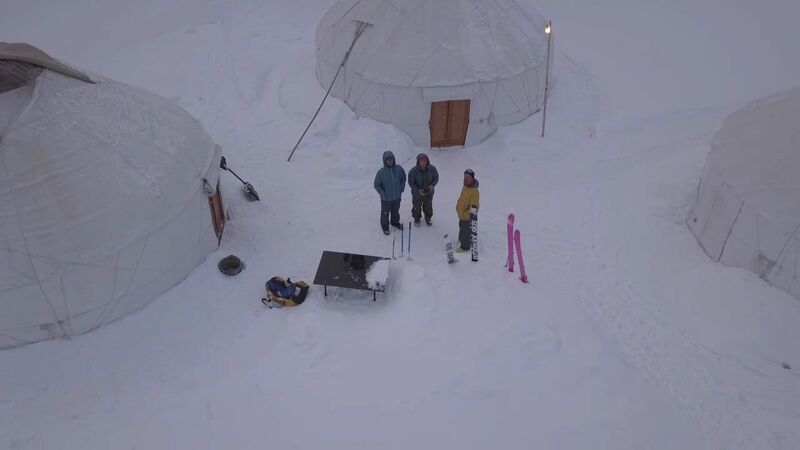 We took a shock to our systems as we opened the door of our log-fired yurt at a pleasant 25 degrees C, to the -30 that awaited us outside. We decided to wait for the sun to warm the air sufficiently; agreeing -20 would be the lowest temperature we could comfortably tour in. Cold and unconsolidated crystalline powder made for an enduring marathon of a climb. A brutal four hours to ascend 600 meters, something that would normally take a maximum of two. Which leads us to, no exaggeration, our 151st kick turn of the day! This also made us dubious of the safety and quality of our coming ski descent. This area is renowned for its steep terrain, something we were excited to explore. Reaching the top, we could see the aspects and areas we were hoping to ski, and lines we had envisioned dropping while we comfortably slept the night before. Unfortunately, these steeper gradients were not going to be an option for us. Spectacular views of the surrounding peaks and a well-deserved lunch at 4000m, our excitement slowly turned to disappointment, as all we could see was bottomless sugar. In fear of certain death, we decided to abort our mission and stick to the mellower gradients. With our high expectations of the terrain we couldn’t help but feel disappointed with our misfortune with the conditions. Heading into unexplored and uncharted ranges, especially in winter, things don’t always go to plan. It’s good practice to expect the unexpected and have back-up plans for your back-up plans. Returning to camp we confidently organised to put Plan B into action. We would stay at this remote hamlet for another two days to do some more mellow exploring, then, as the weather turned, get a lift to the more frequented and less exposed terrain near the village of Jyrgylan – 100km east. 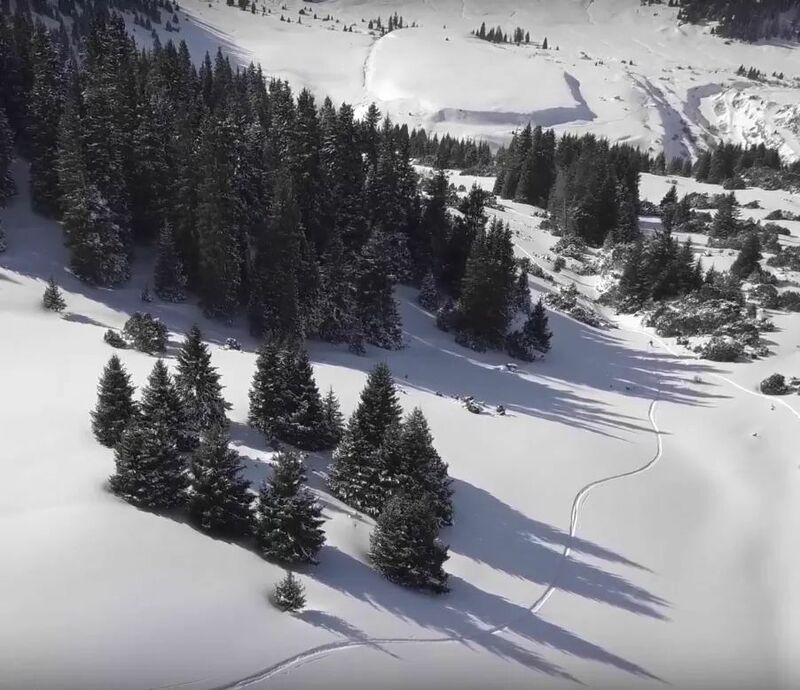 Here this sister hamlet offered a similar snowpack but with less steep, less dangerous and more agreeable touring routes to suit the tricky conditions. On every expedition you learn new things, and it doesn’t always go to plan. Whether it’s a gear malfunction, falling ill, or in this case nature not playing ball, it’s good practice to expect the unexpected and have back up plans for your back up plans. Plan B for us was no consolation prize. The skiing may not have been as gnarly but the overall trip quality was high … once we got used to the cold! Tom Coney is Jöttnar's resident ski-alpinist, with a large number of technical ascents and descents to his name, both in the Alps and the Greater Ranges. Read more about Tom here. Jacket worn by Tom: Fenrir down jacket.